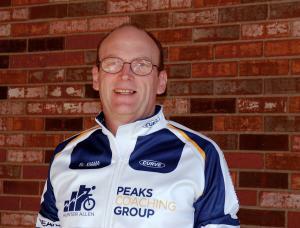 I am a coach on the Peaks Coaching Group team and we are the experts in training with a power meter and data analysis. If you are looking for the best, then I will exceed your expectations and help maximize your training time. We also can help you with race tactics, nutrition, power training, and skill development. There are many service levels that we offer. Please see detailed descriptions on www.peakscoachinggroup.com We provide consulting and custom coaching weekends. I coach Road cycling of all venues I am a USA Cycling Level 2 Coach and also USA Cycling Power Based Training Certified.I am a Peaks Coaching Group Elite Coach and have been with them since 2008. I believe that while cycling is a team sport, you race as an individual. That, as well as the constant focus to improve and gain strength, speed and fitness is what keeps me riding. I have now reached the point in my cycling career where I want to share my knowledge and pass on my love of the sport by coaching other riders who are looking to improve. I am eager to begin working with cyclists to develop their strengths and achieve their goals through a carefully thought out program that will gets athletes psychologically and emotionally ready to tackle any challenge. Success. Coach Bill McLaughlin has been notified of your message.